Imagine sitting in on a meeting of the team behind the Warriors franchise, throwing out ideas for its next big title. A few names are bounced around but no one’s really on board, and then suddenly one person in the back says “how about a ‘all-star’ style game with multiple characters from different franchises?” Voila! 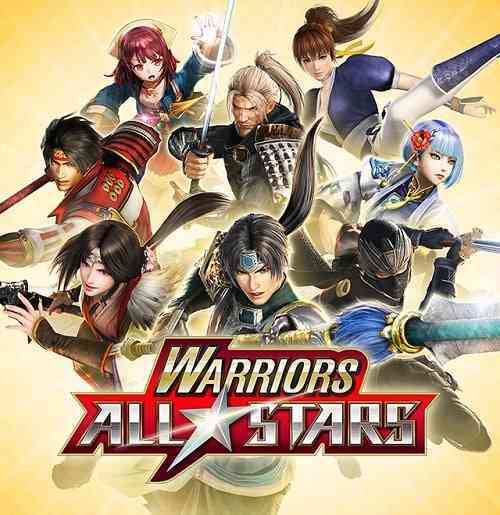 Warriors All-Stars is born, and with that cast of famous faces comes very little in the way of innovation, something the franchise as a whole sorely needs but is readily apparent here. The mixture of characters spanning the entire Koei Tecmo lineup is pretty cool, with old and new faces giving me plenty of options. Rya Hayabusa from Ninja Gaiden is the most noteworthy of the group, with William from NiOh being the newest name on the block. Franchises like Dead or Alive, Toukiden, and Warriors itself are properly represented, while there are few left-field options, particularly Nobunyanga Oda from Samurai Cats, that make me scratch my head. 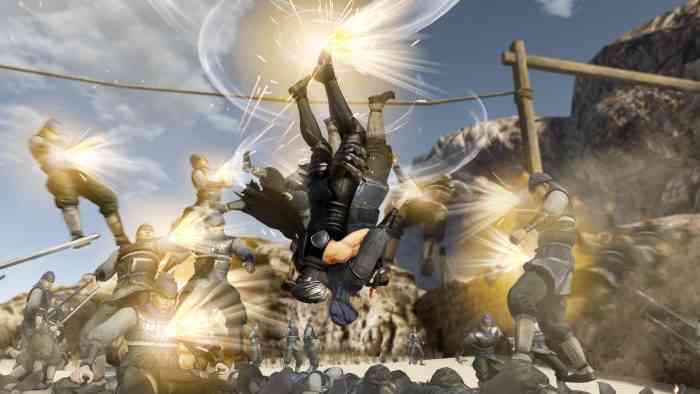 The first thing to note with Warriors All-Stars is a point I’ve made with Musou games for some time now: it’s essentially the same damn thing it has been since Dynasty Warriors 3 on the PlayStation 2. No matter who I choose I’m hacking and slashing through groups of enemies, which then spawns new objectives and new enemies to claim, before the stage is complete and I move on to the next one. It’s like going to a restaurant and ordering the same thing every time I go: I know what to expect before I even set foot in the door. 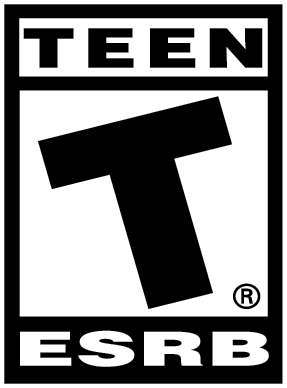 That’s not entirely a bad thing however, as the Musou format is still a solid action formula that works quite well. The amount of enemies I find myself up against can be overwhelming, and slashing through them with combos and special moves has its fun moments. I still enjoy storming into fortresses and taking out the leaders. I feel challenged when the big bad boss of a level appears and I face him in the heat of battle, and I do like standing victorious in each of these chapters. There are some new elements to learn too, like the Hero Card system that allows for buffs to be equipped to each character. The Assist system may be the biggest addition, allowing me to call in other characters for massive combos and even control three at a time with the Star Rush attack. 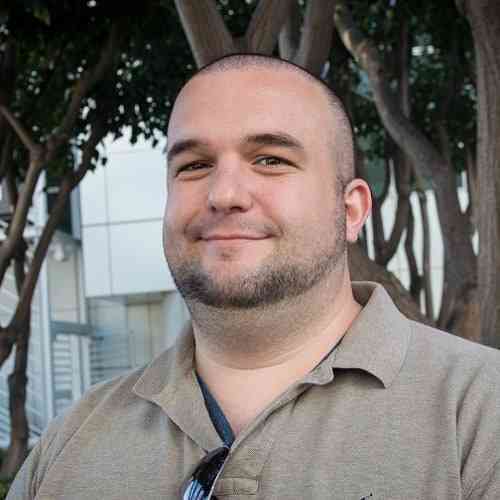 However, these new features aren’t enough of a change to what I’ve been doing for years and I was hoping for more innovation while I hacked and slashed. The story that houses all of these characters is pretty lackluster despite how lengthy it is to complete. A world of cat-people loses their king and the mystical spring that sustains all life starts to wither, and so one of the royals casts a spell to bring all of the heroes to this new world. How the royals heard of these legends is never really elaborated on, I just have to assume they’ve heard of them and that’s enough. Something goes wonky in the summoning process — because of course it does — and the heroes are scattered across the land. Based on the character I select, one of three separate campaigns will play out. Each one centers around one of the three royals Shiki, Tamaki, and Setsuna, and I must complete all three before unlocking the fourth and final campaign. It’s here where Warriors All-Stars falters in the presence of some of its predecessors: the story does not grip me like it should. I should want to keep playing to see how this conflict plays out, not simply because I want to hack and slash ad infinitum. 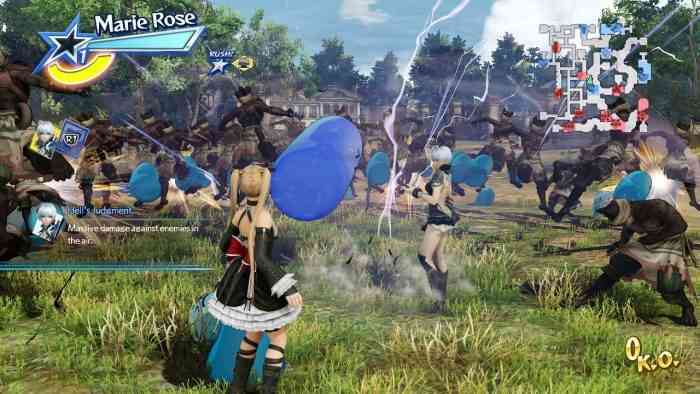 Think of a few recent Musou games like Berserk: The Band of the Hawk or Attack on Titan; those games take the basic Musou formula and inject it with a superb story based on previously existing IP. Granted, Warriors doesn’t have that luxury, but that’s all the more reason for this game to need a story that can pull me in just as effectively. If I’m going to mindlessly press the same button over and over again why wouldn’t I want to do it as Guts in Berserk and follow that incredible manga series? There’s more character selection here, but there’s far less intrigue. Perhaps it’s unfair to compare a well-known story with a legion of fans to a brand new original tale, but I had hoped the Warriors All-Stars team would bring something fresh to the table instead of just magic-ing these heroes into a new world full of catfolk and leaving it there. The story isn’t bad, it just doesn’t stack up to other choices. 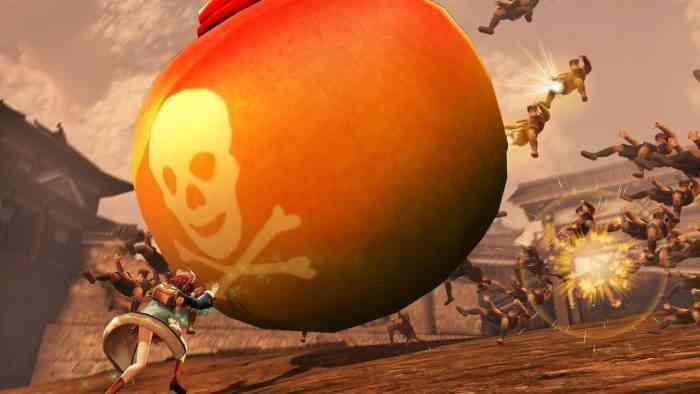 Warriors All-Stars won’t bring the Musou games to a new stage of prominence, but carving up swarms of enemies with a catalog of famous Koei Tecmo fighters has its fun moments. Controlling multiple fighters at once is particularly neat, as I can really cause some havoc when it’s not just one character on-screen. Unfortunately the story to earn this all-star cast isn’t enthralling enough, so any interest in plowing through it will have to come from the combat experiences alone. Warriors All-Stars has the elements for greatness, it simply didn’t magic them together enough to truly be “all-star” material.